This is not really a travel related update, but current San Francisco mayor, Gavin Newsom, officially announced his candidacy for governor of California. The campaign slogan is "Gavin Newsom: For a Better California." 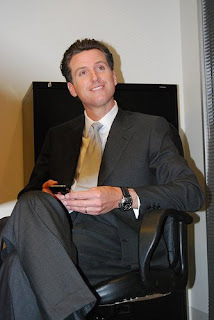 Information regarding the campaign and issues supported by Mayor Newsom can be found on his official campaign website. San Francisco, under the leadership of Mayor Newsom, has enacted some of the most progressive legislation in the country. San Francisco sets an example that should be followed by many cities and states across the country, especially in regards to health care, alternative energy, and green intiatives.